Elegant mid-century modern curve of line and the best of old-school craftsmanship is combined together in our Milan tufted armchair. 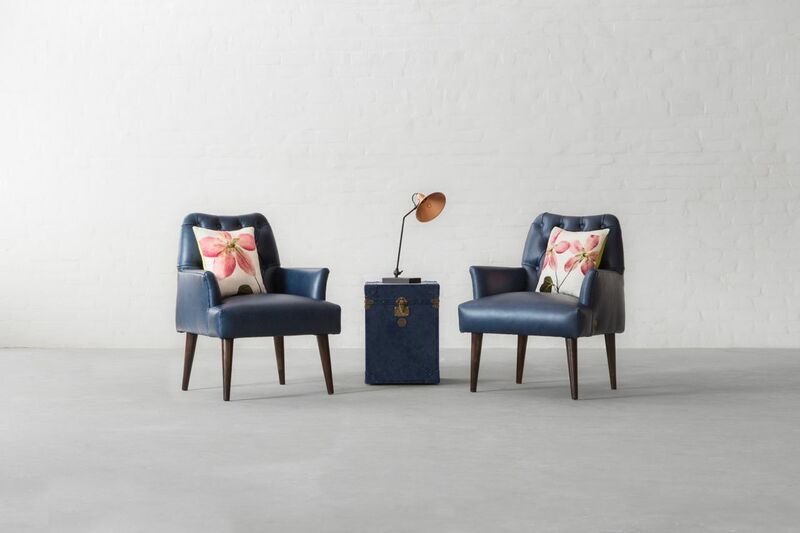 Adorned with beautiful hand-tufts on the back, this armchair is a perfect amalgamation of traditional and modern design. The tight back streamlined design takes a light and space-saving stance on tall, rounded spindle legs in walnut finish. 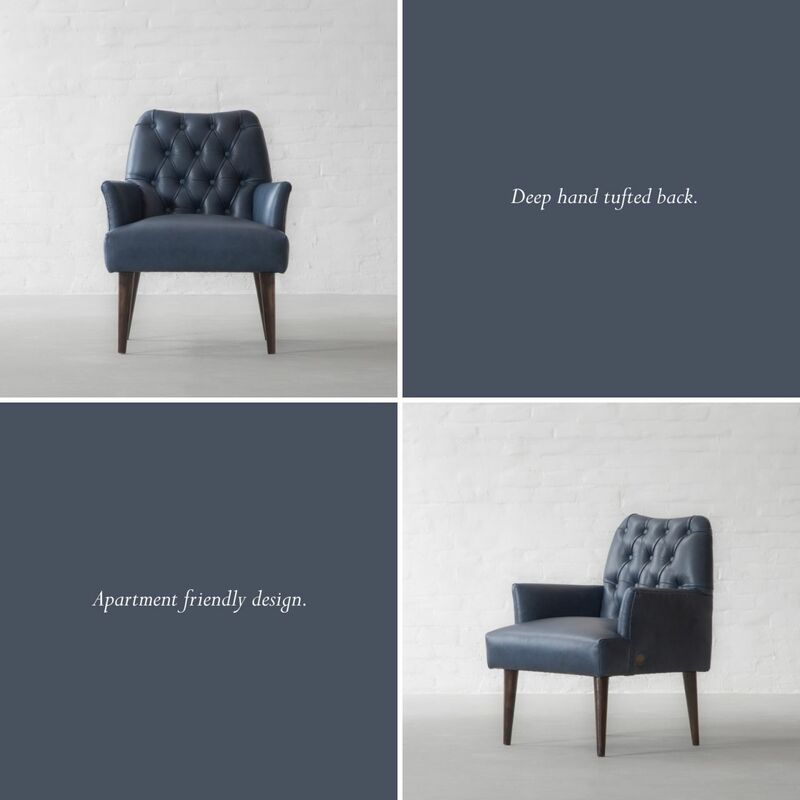 Offering a perfect blend of grace and functionality, this armchair is an easy addition to any room either living, dining or for additional bedroom seating.